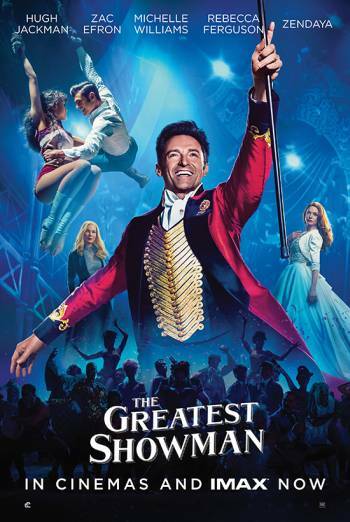 THE GREATEST SHOWMAN is a musical drama which tells the story of the showman P.T. Barnum as he creates and develops his circus in New York in the mid-1800s. Scenes of mild threat include people running out of a burning building. A man runs back into the building to rescue someone. He escapes with mild injuries just as it collapses, having saved the person's life. Scenes of violence include bar brawls and punches being exchanged. There is use of the derogatory term 'spook'. There is also very mild bad language ('Oh my God', 'prig', 'flopdoodle') and a character referring to herself as being born "out of wedlock". There are scenes of alcohol consumption by adults.